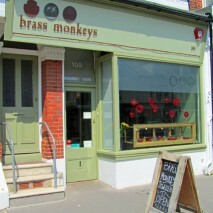 Caroline is very pleased to be stocking her work with Brass Monkeys, where you can find a fabulous array of hand made British contemporary jewellery to suit all budgets. Exquisite pieces being added all the time. You will be able to buy Caroline’s Geometric, All are One, and Jingly Jangly collections in store now!